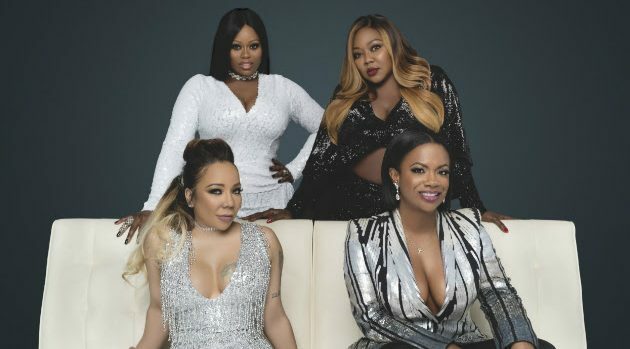 DeWayne Rogers/Monami EntertainmentXscape will be performing Sunday in Atlanta on the So So Def 25th anniversary concert, and Tiny Harris offered a preview of their performance on Instagram. “Just a lil light weight of what Atlanta will get This Sunday Oct. 21 There’s no where else to be if you in the city but the #SoSoDef25AnniversaryShow #PhillipsArena,” she captioned a rehearsal video of the group singing “Tonight” from their 1993 debut album, Hummin’ Comin’ at ‘Cha. Kandi Burruss, who released a solo single last week called “Ready For This,” is included in the video and will perform with the group. The show will also feature So So Def CEO Jermaine Dupri, Da Brat,Jagged Edge, and Bow Wow. The So So Def 25th anniversary concert was supposed to be an entire tour, which was scheduled to kick off October 14 in Washington, D.C. However, all the dates, except Sunday’s show in Atlanta, have been canceled. Dupri previously announced on Twitter that he needed more time to organize the tour, but so far, he hasn’t rescheduled the canceled dates.